Is Dave Bateman the Utah Republican Party’s financial savior, or its new strings-attached lender? 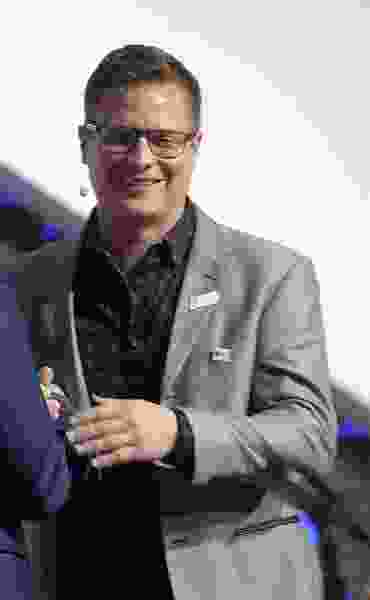 (Al Hartmann | The Salt Lake Tribune) Dave Bateman, Entrata, CEO speaks in the opening session to over 14,000 at the 2018 Silicon Slopes Tech Summit at the Salt Lake Convention Center Thursday Jan. 18. Dave Bateman, CEO of the Entrata software company, earlier this year was ballyhooed as a savior of the Utah Republican Party for extinguishing a $410,000 legal debt that threatened to bankrupt it. It turns out that he is less of a benevolent big donor than a lender who “acquired the debt” from party lawyers — for about 40 cents on the dollar — with some strings attached that may surprise party moderates. Bateman makes it clear that he may force the party to pay him the debt if it ever halts an ongoing lawsuit that he and ultraconservatives support challenging Utah’s law allowing candidates to collect signatures to get on the primary ballot. The debt will eventually be forgiven only if he agrees to drop the lawsuit, the party wins the lawsuit, or all its appeals are exhausted — which means taking it to the U.S. Supreme Court. That comes out in greater detail now just before the party must file its pre-convention financial disclosure forms next week, and as the party said this week it will continue appealing the lawsuit after losing a 2-1 decision in the 10th Circuit Court of Appeals in Denver. 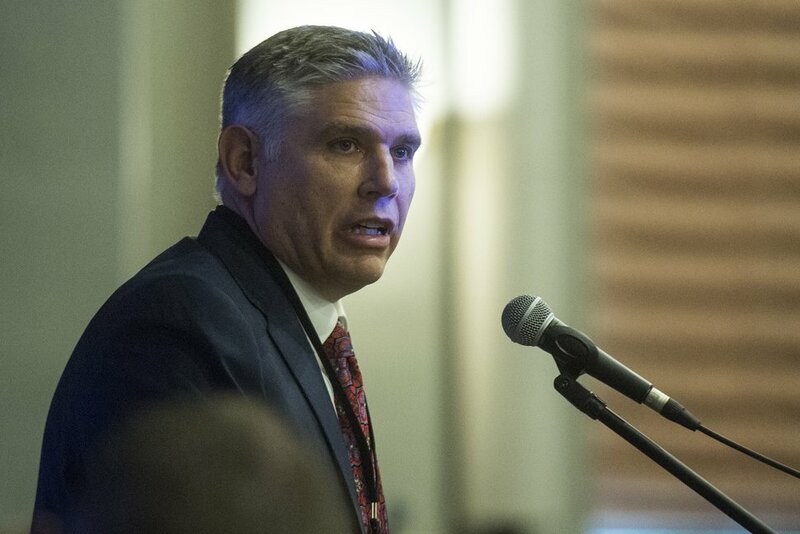 In January, when the agreement with Bateman was announced, Utah Republican Party Chairman Rob Anderson said the deal would “extinguish all legal debt incurred by the party” by that ongoing lawsuit — and that Bateman agreed to cover the cost of any further appeals. Anderson said he had rejected an earlier offer because Bateman proposed to take control of the lawsuit and to make the call on how far to push it. The Tribune had requested copies of the agreement, which the party did not provide — but a signed copy appeared online this week, which Bateman said is authentic. Anderson did not immediately return phone calls seeking comment. The document shows that while the party may technically control the lawsuit, it faces significant financial penalties from Bateman if it fails to keep up the legal fight. Bateman told The Tribune he took over the party’s outstanding legal debt by paying $50,000 to attorney Chris Troupis, and $125,000 to attorney Marcus Mumford — or $175,000 to cover what Anderson said was $410,000 billed to the party by the lawyers. Bateman will forbear collecting the debt from the party as long as the lawsuit continues, or the constitutionality of the 2014 election law is finally and fully adjudicated, according to terms of the agreement. If the lawsuit is halted over Bateman’s objection, he would be required to wait 12 months before beginning collection — then he could pursue the $175,000 he paid to acquire the debt, plus anything spent on additional appeals. Bateman told The Tribune he doubts he will ever need to seek reimbursement from the party. “The state central committee overwhelmingly wants to litigate this” and it decides whether to continue the lawsuit, he said. But he adds he worries about Anderson, who attempted to dismiss the lawsuit last year by saying he had unilateral authority to do so because it threatened to bankrupt the party. How the party is to report the arrangement on required disclosure forms may be tricky, because it is sort of a donation and sort of a continuing debt — and debts that were supposedly erased still linger. The agreement calls for the party to work with Bateman to ensure that financial reporting meets legal requirements. Bateman said in an interview that he is working with an attorney to figure how best to report the situation, and also is working with the party. He said he has been advised that he may pay costs of continuing appeals directly to lawyers without reporting that as party donations, but is still working to ensure that is the case. Rich McKeown is executive co-chairman of Count My Vote, which is pushing a voter initiative to reaffirm Utah’s election law allowing candidates to gather signatures, go through the convention or both to get on the primary ballot. He said he does not know how party moderates will view the GOP deal with Bateman that likely ensures continuing challenges to that law, perhaps for years to come. “We’ll wait and see how it plays out,” he said. Despite the party’s agreement with Bateman, he and Anderson have publicly bashed each other in recent months. And Bateman has charged that party moderates have attempted to smear him for his efforts to overturn the signature-gathering law, including by bankrolling the Keep My View ballot initiative that seeks to repeal it. Last month, Bateman publicly accused state Sen. Todd Weiler of attempting to offer $1 million to a woman to falsely accuse Bateman of sexual harassment. This week, Lehi Police sided with Weiler after an investigation, saying he committed no crime. Weiler said he tried to help a woman find a lawyer whom he believed Bateman indeed had sexually harassed.